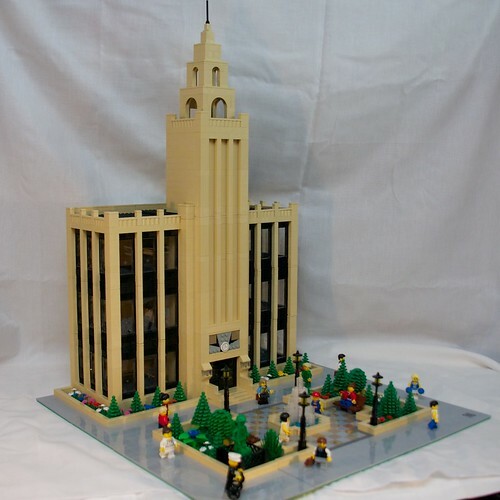 Brick Town Talk: Flashback to the 1930s - LEGO Town, Architecture, Building Tips, Inspiration Ideas, and more! I can't say I've seen the first one, but this one by Rob Bender sure is fantastic. The sleek and modern looking facade with a nicely centered tower makes for a very aesthetically pleasing sight. Very inspiring!